Ganesh Chaturthi has arrived and devotees of the elephant-faced God are gearing to welcome beautifully adorned idols in their homes. Additionally, pandals are being put up across cities, humongous Lord Ganesha idols are being decked up and devotees are lining up for the benevolent God’s blessings. Meanwhile, people are also busy preparing several kinds of sweets to be served as prasad. 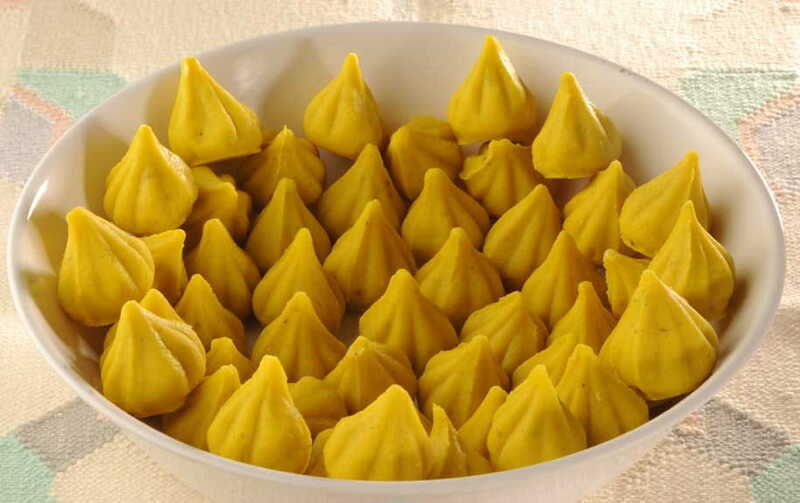 The main Indian sweet of the festival is the modak. Ganesh Chaturthi celebrations are incomplete without an offering of modaks to Lord Ganesha. They are generally prepared from rice flour and stuffed with a sweet mixture of coconut, jaggery, nutmeg and saffron. The dumplings are known to be Lord Ganesha’s favourite sweets and they are prepared in large quantities around Ganesh Chaturthi. 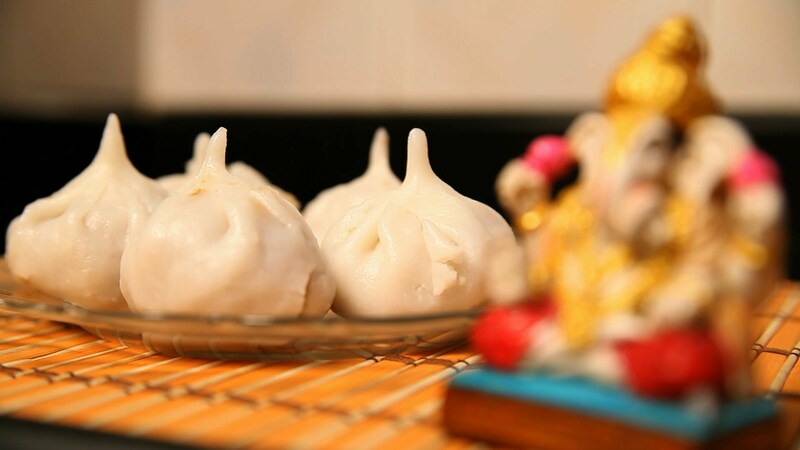 However, if you are bored of eating the classic rice flour dumplings every Ganesh Chaturthi, then this year you can give your modaks a tasty makeover by playing around with the ingredients. Want to make your modaks healthy? 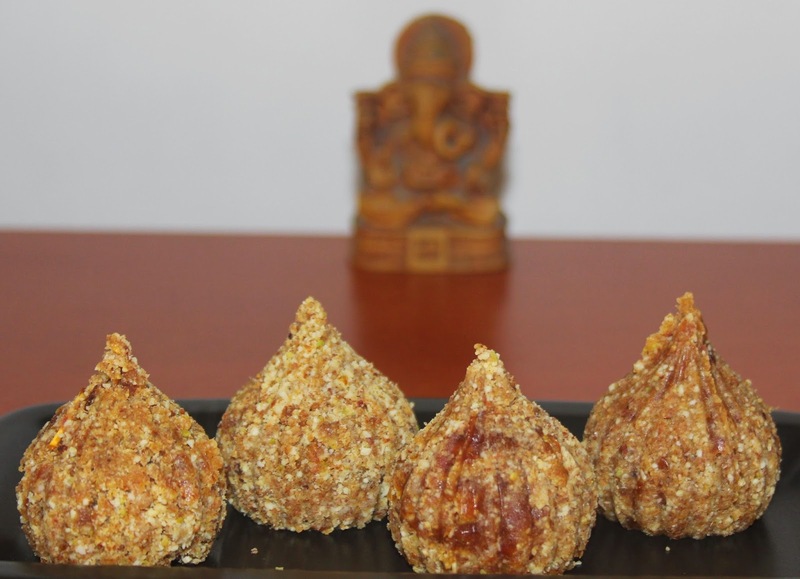 Try dry fruits modak, prepared from figs, dates and an assortment of nuts and spices. These modaks are not only appealing to the palate, but are quite healthy as well. You can start by soaking figs and dates in water and then blending them together to make a smooth paste. Grind your favourite nuts like pistachios, peanuts and almonds in a grinder and dry roast them, along with sesame seeds, chironji seeds and desiccated coconut. Roast the date-fig paste in ghee and then add the ground nuts and coconut mixture to it and roast the mixture together. Put the sticky paste in a modak mould and press it to give it the required shape. In this recipe, chana dal is added to rice and wheat flour to make the modaks flavourful. Make jaggery syrup by melting jaggery pieces in water in a pan. Now, mash some cooked chana dal and add the jaggery syrup to it, along with grated coconut. Add some rice flour to boiling water and keep stirring it. Once it becomes doughy, add the chana dal, coconut and jaggery mixture to it and mix it well. Now, shape the dough in the shape of modaks and steam them in a pan. Finish by adding rose petals to garnish. 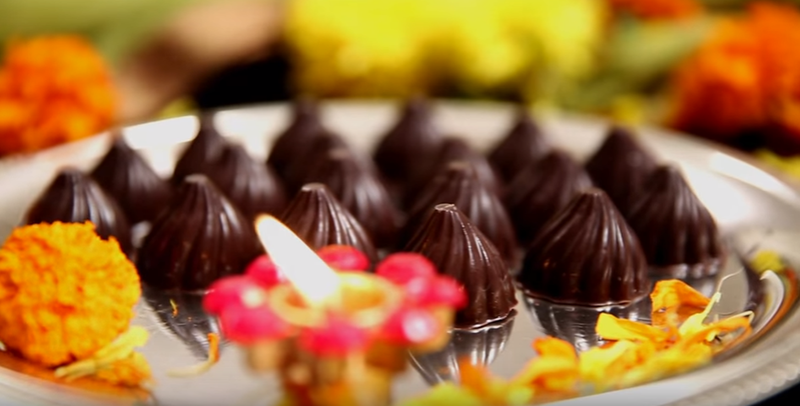 This is a modern take on the traditional modak recipes and is loved by both adults and children. All you need for these is condensed milk, regular milk, chocolate chips, digestive biscuits and nuts of your choice. Mix condensed milk with regular milk and bring it a boil. Add chocolate chips and stir them in to melt. Put the mixture on a flame and let it boil until it thickens. Add some powdered digestive biscuits to it and some chopped nuts to make them crunchy. Shape them like modaks and allow them to set. Serve chilled. All you need for these is khoya, powdered sugar, figs and nuts. Fry the khoya in a pan along with powdered sugar. Turn off the heat and add chopped nuts, coconut powder and chopped figs to it. Let the mixture cool and add it to a mould to shape it like modaks. 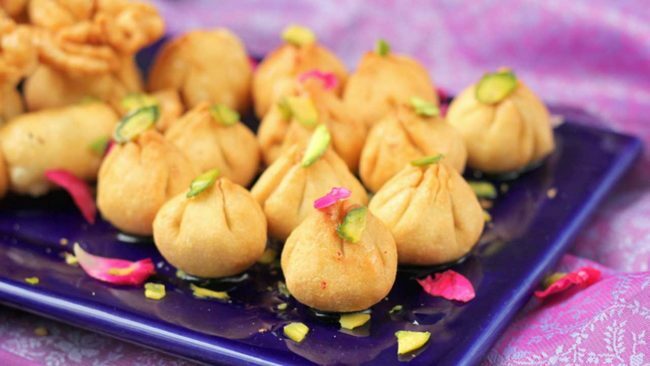 Prepared from paneer, condensed milk and saffron, these modaks are very rich in taste and flavourful. Crush soft cottage cheese of paneer and put it in a pan. Turn the flame on, add condensed milk to the paneer and keep stirring until the paneer gets mashed properly. Flavour the mixture with saffron and then turn the flame off. Let the mixture cool and then add it to the modak mould to shape it. So, now you know! 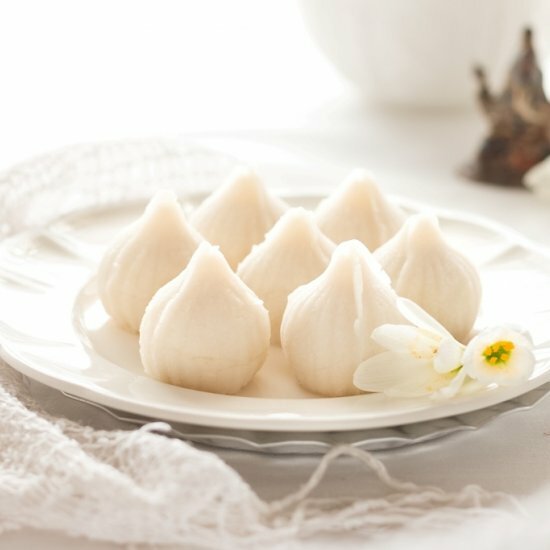 If you want to offer something uniquely tasty to Ganpati bappa this year round, you can try any or all of these unique modak recipes.